Home security cameras you can stream on a smartphone have become increasingly popular in our Airbnb age. They're also getting smarter and, well, creepier. Google's Nest division makes the Nest Cam, which recently added face- and object-recognition features. It can tell who is walking through the kitchen at 3 a.m., or send a text alert anytime it detects something out of the ordinary. 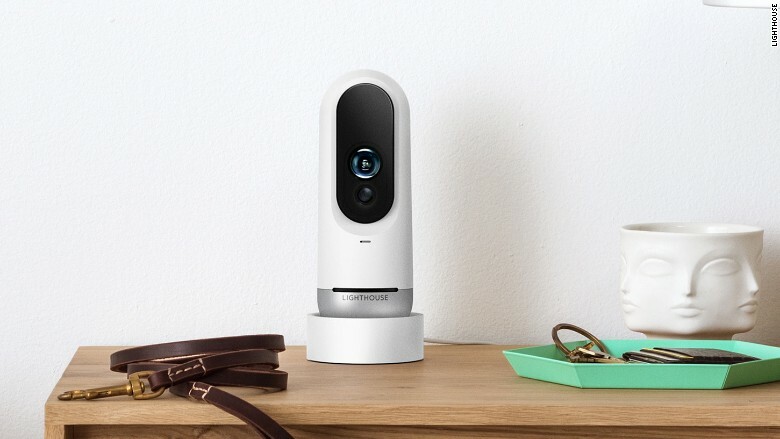 Lighthouse is a $399 camera that combines a security camera with a voice interface. You can ask it things like "What did Junior do this morning?" or "What's my dog up to today?" and instantly see clips of their activities. You can even set up alerts for different types of activities, like jumping or waving.